Get uniformed accessories for your devices for your classroom. Keyboards, covers and screen protectors. We think a lot about mobile technology, especially when it comes to iPads in schools, we’ve realized that there are still a lot of questions about if it’s right for your school, or if it will truly enhance the curriculum and the student learning environment. It’s our belief that every school’s wireless network design and strategy is unique to their situation and exact needs. For a lot of schools choosing to implement iPads is a big decision. It involves the school, faculty, students, and even parents. If you are on the fence about bringing iPads into the classroom or are interested and trying to find more information on exactly what iPads can offer, or simply because you already love iPads, then look no further. Her is a list of 31 stats, facts and everything in between about the iPad being used in education. 1. Apps – With over 65,000 education apps designed especially for the iPad and growing, just about every subject, learning style and grade level is covered. An example of just one app is Nearpod. Nearpod allows teachers to deliver various types of content from quizzes, videos and info slides directly to the students devices. Those students can then send their work and/or responses back to the teacher which is stored on the teacher’s account to be reviewed later or downloaded as a .pdf report. This kind of interaction is only possible because of the iPad. 4. The three largest publishers, producing 90% of all textbooks used in schools are all partnering with Apple to sell digital versions. 5. 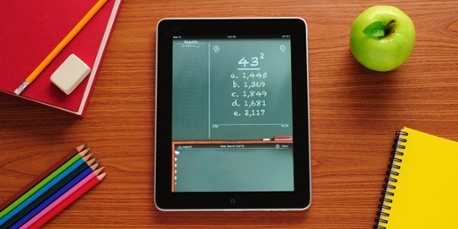 86% of students believe that tablets (like the iPad) can help them to study more efficiently. 6. 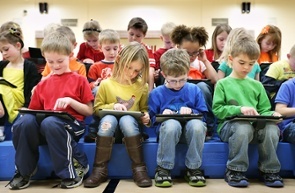 Over 8 million iPads have been sold to educators worldwide in 2012 alone! 7. 60% of faculty thought that students were more motivated by lessons that used the iPad than lessons that did not. 8. Improving literacy – Using even the simplest features of the iPad such as the voice recorder, are helping to improve the fluency of students. 9. Creating and Sharing Demonstrations – By using the iPad and Airplay, teachers can demonstrate a procedure once, record it and then play it back on a larger screen for students to view and discuss. 10. Interactive textbooks – with apps such as iBooks Author, students and teachers can create interactive textbooks featuring 3-D graphics, videos, and the ability to take notes. It has increased the level of learning through interaction and participation. 11. Battery Life – Clocking in at right around 10 hours the new iPad Air definitely has plenty of legs to get through the school day. 13. Bandwidth – iPads require tons of bandwidth so again, before rolling them out you will need to make sure your school’s wireless network has the required bandwidth in place. 14. Ease of Use – This might be subjective but overall iPads seem to be extremely easy to use right out of the box. 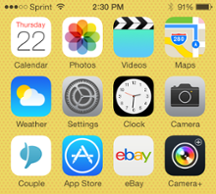 Apple has given the iOS a very streamlined, organized feel; you have everything you need, and it works! 15. 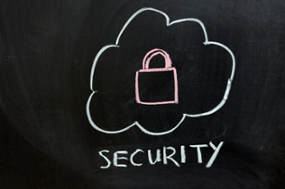 Security – Apple has arguably created the most secure operating system available on mobile devices. Downloading apps is more secure and iOS provides great systematic protections for multiple devices. 16. 802.11ac – I know, I know, the new iPad Air doesn’t have 802.11ac but it does have very solid 802.11n and MIMO (multiple in, multiple out). 17. 75% of students agreed that the iPad enhanced their learning experience. 18. A research study, conducted in Uk showed that students in Primary who were using iPads scored much higher on literacy tests than students who were not. 19. Social Networking – While some believe social networking to be counterproductive and a distraction, the fact of the matter is that it is a dominant form of of communication with students today. Educators today simply need to be creative when using social as a learning tool. Sharing ideas and coming together around topics of interest can be a powerful way to interact with students. It is also very important to develop and help students understand how to be responsible with social. 20. Video – this is almost a no-brainer. 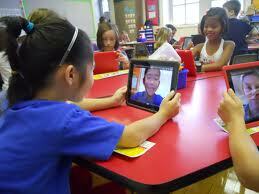 The iPad like many mobile devices is a master at bringing video into the education environment. Through YouTube and various apps, video lessons and even video chat (face-time) can create interaction and creativity on another level. 21. Grading papers – thats right teachers, there is an app for that too! 22. iPads in the classroom is growing. 23. 55% of students say they wish their instructors used more simulations or educational games. Using the iPad the options are almost endless and are only limited to our imaginations. 24. Benefits Students with Disabilities – By using the touch screen capability students who lack motor skills can actually watch their finger move and write directly on the screen, this greatly improves their fine motor skills. Students with autism are naturals when it comes to using the iPad. Jeremy Brown a highly active and involved teacher for autistic elementary students finds great promise in the iPad and its touch technology. He has estimated that nearly 80 to 90% of his students with autism experience tremendous results when using iPads. 25. Personalized Lesson Plans for Students with Disabilities – The iPad allows teachers to easily and creatively tailor their lesson plans for each student based on what that student needs. There are hundreds of apps specifically designed for students with special needs that teachers can use to enhance the learning experience just by using the iPad. 27. Environmentally Safe – iPads save on paper big time. 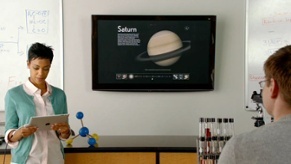 Everything from handouts, tests, presentations and textbooks can now be delivered to everyone by the iPad. 28. Budget Friendly – You no longer have to replace old textbooks, digital updates make this cheaper, easier and faster. Teachers also don’t have to worry about damaged or lost books as well, all of this saving big bucks in the long run. 29. Speaking “their” Language – Students these days use tablets and mobile devices from an early age, some as early as 1 or 2 years old! By the time they are in school it’s second nature to use a tablet or mobile device. The iPad will keep their attention and resonate with students by aligning with how the new mobile generation wants to learn and communicate. 30. Ready for Tomorrow – Students today need to be technology literate. iPads and tablets play a huge role in preparing our students for college and eventually their careers. 31. The Future – Whether you like or not mobile is here and it’s only getting bigger and better. With 75% of students saying that technology helps them achieve their academic outcomes, schools and their wireless networks must be ready to support the latest technology. P.S. If you are interested in implementing a mobility strategy to support iPads in your school we would love to answer any questions you might have, simply contact us here!